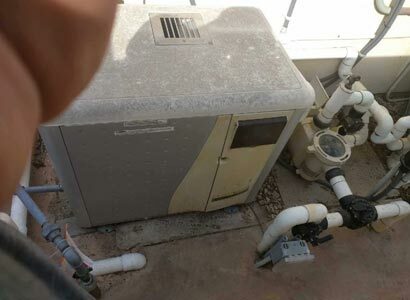 When originally called out to perform this pool heater troubleshooting, it was due to the home being sold. The seller and selling agent wanted to know the cost to repair this pool heater in Santee would be. 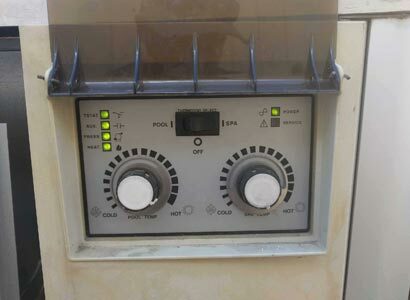 Once we completed the pool heater diagnostic, we sent a written estimate to the seller for the necessary heater repairs. That was to include the replacement of the old hot surface ignitor. We billed the selling agent for the cost of a pool heater diagnostic that they were happy to pay. Happy to know they did not need to install a new pool heater and that the cost of the pool heater repairs was not that expensive. When performing our service call, our technician was able to conclude that it was a bad hot surface ignitor. This is the part of a pool heater that ignites the gas, unlike older pool heaters. 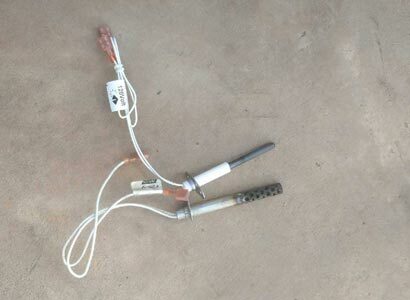 Older pool heaters use to use a gas pilot assembly and more recently an electronic ignition. this part would cause a spark to ignite the gas allowing you to heat the pool or spa. All newer pool heaters now use a hot surface ignitor and they do fail though it is completely random as with most pool heater repairs. Now that the new homeowners have moved in, they contacted us about the heater repair. The new home buyer was provided a copy of our written estimate by the seller. She contacted us to schedule and we were able to get there the same week to perform the necessary repairs and get the heater back up and running. MiniMax NT pool heaters are an older pool heater. They are also prone to have problems as they were recalled many years ago. 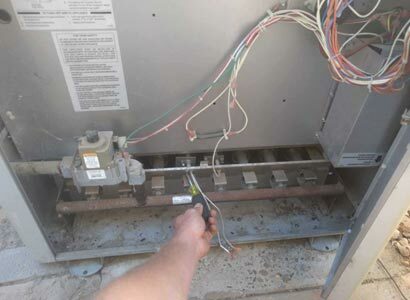 We find ourselves installing new pool heaters most of the time with these as a pool heater repair is not usually cost-effective. Only on a rare occasion are the Pentair MiniMax NT pool heaters in good enough condition to recommend repair over replacement. If you have a pool heater that is not working correctly and you want to know what is wrong, we can help. We offer complete pool heater repairs and new pool heater installations for all of Santee and San Diego County. We also specialize in all types of pool equipment repair, new pool equipment installation, along with various pool services. If you have any questions or concerns about your pool heater, feel free to contact us via phone or our contact form.